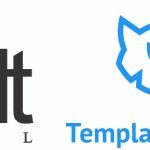 We’ve already compared the best Magento 2 SEO suits that offer enriched XML sitemap functionality, and since it’s Weltpixel’s turn for reviews, take a look at what the company’s Google XML Sitemap offers. If you are not familiar with the purpose of this feature, here is a brief explanation. When you create an HTML sitemap, you provide visitors with a great opportunity to find what they are looking for. With enhances navigation, customers get essentially increased shopping experience that positively affects SEO, but what about Google? 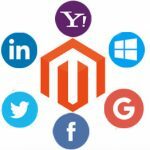 Unfortunately, the search engine doesn’t understand your HTML sitemap, but it is no longer a problem because there are lots of third-party solutions that provide improved XML sitemap functionality for both Magento 2 and Magento 1. Weltpixel Google XML Sitemap is one of such tools. So what features does the extension provide? After installing this Magento 2 module, you get the ability to generate XML sitemaps with a wet finger. 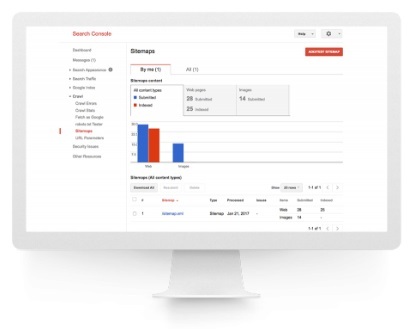 The extension lets you provide search engines (not only Google) with additional information that helps them crawl and index your store faster. And since Google has some specific requirements related to XML sitemap generation, it is vital to use a third-party tool that fully meets them. 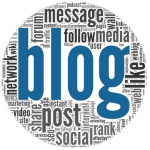 Thus, by using Weltpixel Google XML Sitemap, you essentially improve the time necessary for your new products to become present in search results. 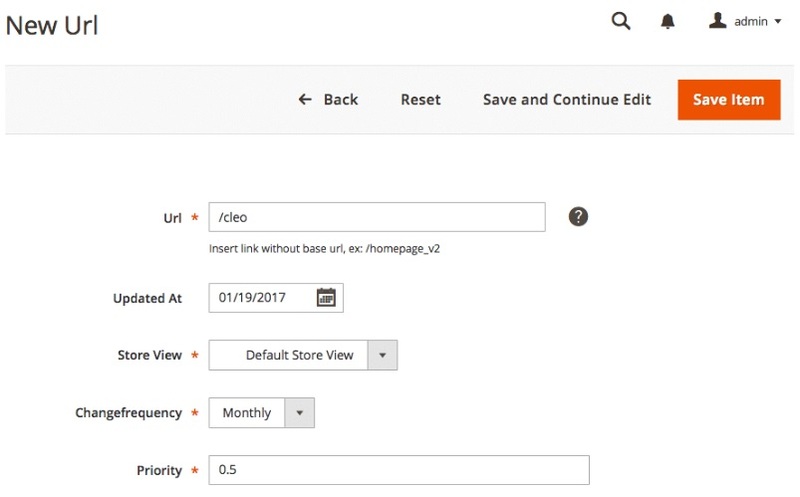 You get deep control over all store pages: products, categories, and CMS pages are fully supported by this Magento 2 extension. Furthermore, it is possible to add any custom URLs to your XML sitemap – the lacking feature of the default Magento 2 sitemap functionality. Another stunning aspect of the Weltpixel Google XML Sitemap Magento 2 module covers attributes. The extension allows you to manage all their aspects, including such parameters as store view, priority, update date, and change frequency. Also, note that you can easily exclude all unnecessary content from your XML sitemap. 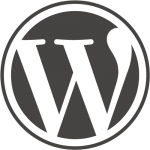 There is no need to add products, categories, or CMS pages that you don’t want to be indexed but still need on the virtual storefront. 1. Under Marketing -> SEO & Search -> Site Map, hit the “Add Sitemap” button. Type its name and select path. 2. Customize the new XML sitemap under Stores -> Configuration -> Catalog -> XML Sitemap. 2.1. 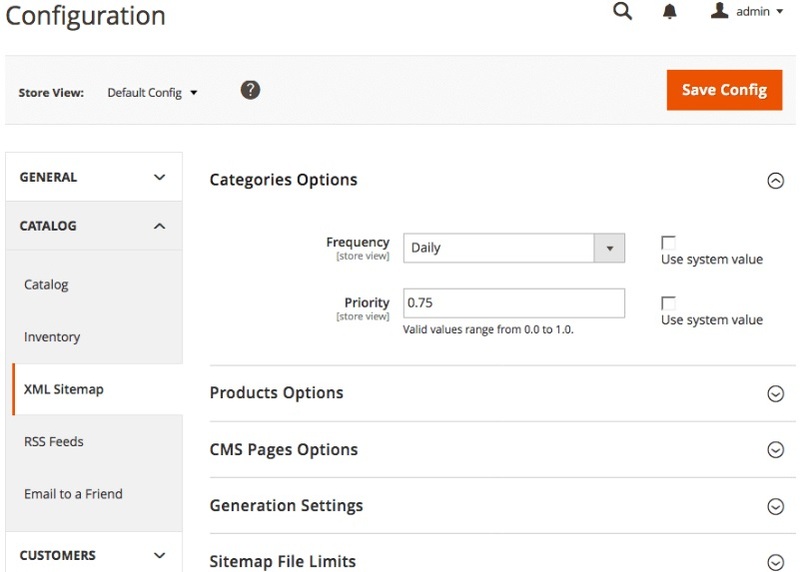 In Categories, Products, and CMS Pages Options select frequency and priority. Specify how frequently each page is likely to change: always (for documents that are changed each time someone accesses them), hourly, daily, weekly, monthly, yearly, or never (for archived URLs). The Priority parameter lets search engines figure out which pages you deem most important for the crawlers. The default priority level is 0.5, but this doesn’t mean that assigning the highest priority to all store pages will help you. 2.2. Next, you should configure generation settings of your new XML sitemap. 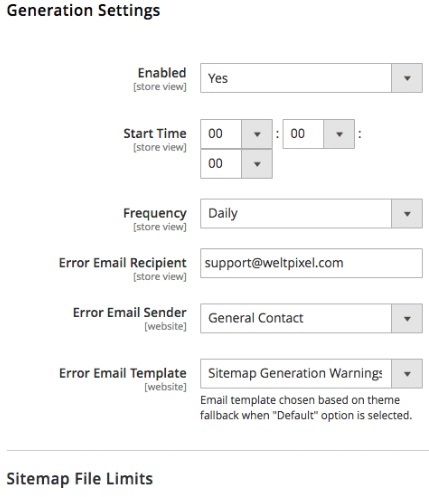 The Weltpixel Google XML Sitemap Magento 2 extension allows enabling/disabling generation, set start time for the generation to start, specify its frequency, set an error email recipient, sender, and template, as well as specify limitations such as a maximum number of URLs per file or the biggest possible file size. Besides, you can enable/disable submission to the robots.txt file. 3. Now, you can apply even more precise customizations. Below, we shed light on where to exclude certain pages and include URLs. 3.1. For CMS pages, go to Content -> Pages -> Edit Page (select a certain page) -> WeltPixel Options -> Exclude from Sitemap -> Yes. 3.2. Product pages can be excluded right here: Products -> Catalog -> Edit Product (select a certain product) -> WeltPixel Options -> Exclude from Sitemap -> Yes. 3.3. As for category pages, the Weltpixel Google XML Sitemap Magento 2 module allows you to exclude them from the sitemap under Products -> Categories -> Select Category -> WeltPixel Options -> Exclude from Sitemap -> Yes. Note that you should activate the corresponding feature for each page, product, or category manually. 3.4. To add a new custom URL (remember that default Magento 2 doesn’t allow you to do so? ), visit WeltPixel -> Sitemap -> Add New Url. Here, you can add the necessary link (without your base URL), specify the last update period, select a store view to add the link to, choose update frequency, and specify priority. 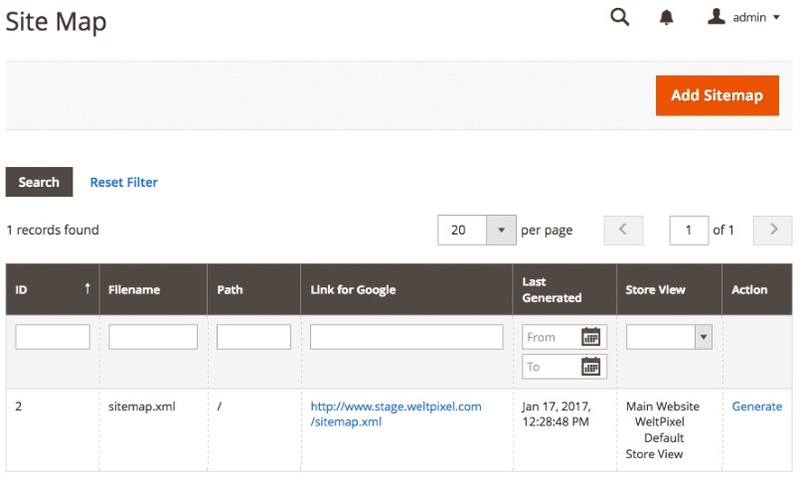 That’s all: now, your perfect XML sitemap is ready, so Google knows how to examine your Magento 2 ecommerce website better.